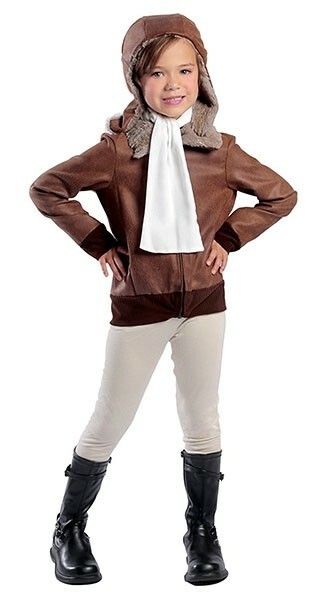 Soar across the sky in this aviator costume that pays tribute to Amelia Earhart. She was the first female pilot to fly solo across the Atlantic; and while her final days remain a mystery, her legacy lives on. 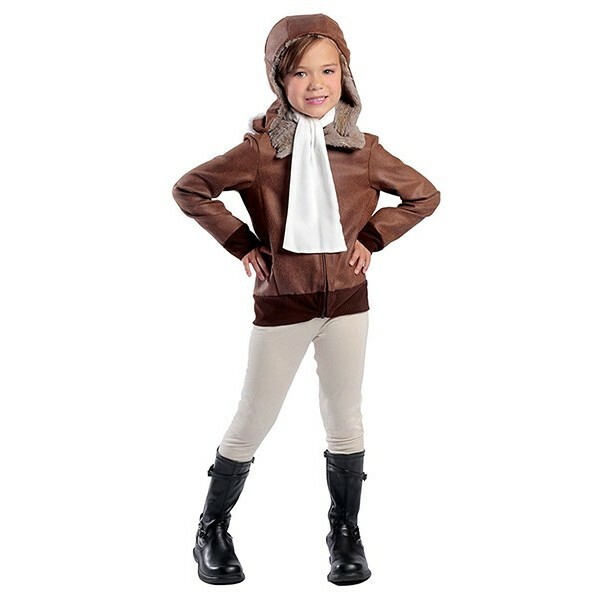 This outfit comes with a brown faux leather jacket with imitation fur along the collar, a matching hat, white pants, and a white scarf.